One streak is over, but another one continues for the Manitoba Moose after a hard-fought loss in Grand Rapids, Mich. last night. 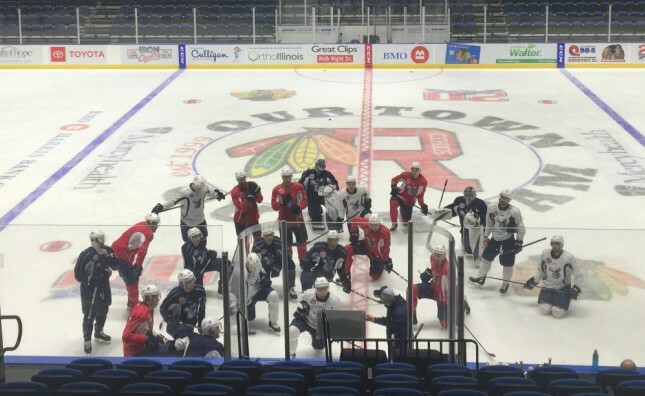 As a result, the Winnipeg Jets’ American Hockey League club was upbeat as practiced in Rockford, Ill. this afternoon. Yes, Manitoba’s four-game winning streak ended with a 2-1 overtime decision at the home of the first-place Griffins, but the club’s point streak is now eight games. The Moose led 1-0 at Van Andel Arena after Logan Shaw’s 17th of the season in the first period, but surrendered the tying goal in the second. Shorthanded five times in the middle frame against the Griffins, Manitoba managed to cancel out all the extra-man chances but it took a toll. The Moose tacked that overtime loss onto a run of six wins and a shootout loss over their last eight outings to total 14 out of a possible 16 points over the last three weeks. There’s no one reason for the club’s turnaround since the holiday break – getting players back from injury, an uptick in scoring, superb goaltending, generally reduced penalty time, and a long stretch at home have been sighted – but, one thing seems clear. This is a team now, with the players consistently playing for each other. It’s something head coach Pascal Vincent acknowledges, but has been around the game far too long to take for granted. That point earned in Grand Rapids moved Manitoba ahead of tomorrow’s opponent and into seventh in the Central Division setting up an important game here in Rockford. 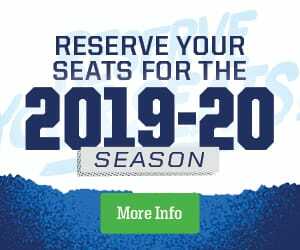 The Moose are seven points from a playoff spot with three games in hand on the Milwaukee Admirals, the team in the fourth and final post-season position, but Manitoba realizes Saturday’s date with the Ads in Milwaukee is a long way off in hockey terms. The Moose and IceHogs is available Friday on moosehockey.com/listenlive, via the Moose App, on TSN 1290, and AHLTV starting with the pre-game show at 6:45 p.m. CT.